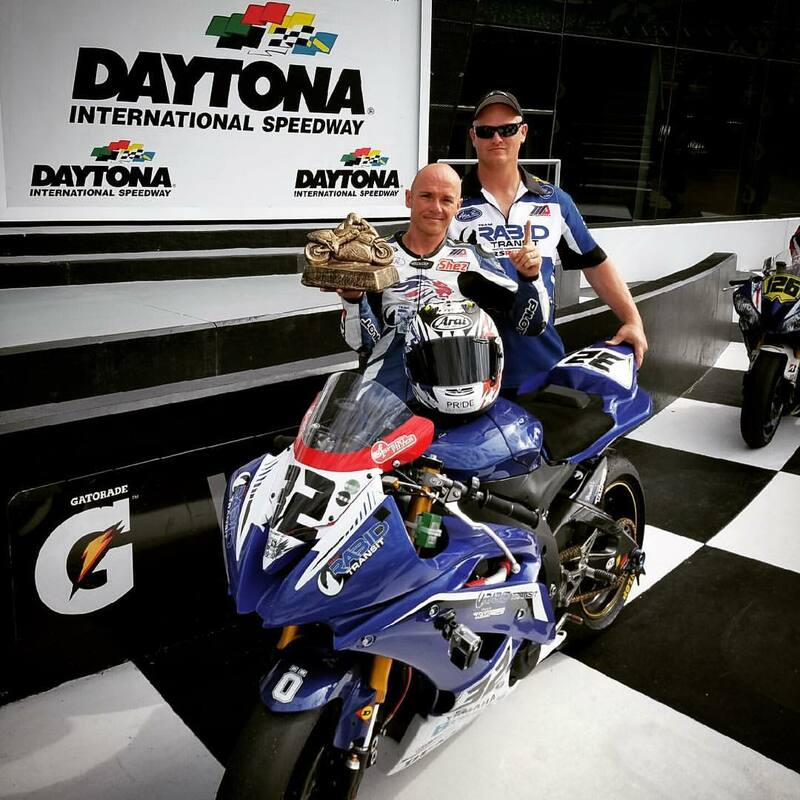 Team Rabid Transit, powered by RSRacecraft had a successful weekend at Daytona International Speedway winning the Middle Weight Grand Prix Expert race. The team entered Sheridan Morias and the RSRacecraft built Yamaha R6 in multiple classes over the weekend. The high banks of the speedway were a new experience for the South African rider and one he thoroughly enjoyed and he is looking forward to the 200 in March. The team enlisted an experienced professional, Jake Zemke to help bring Shez up to speed quickly finishing out the weekend with the fastest lap.